The gummed brown tape is a type of tape made from brown paper that has dried glue on one side which you wet with water to activate. The gummed brown tape is commonly used to stick down the edges of watercolor paper when you stretch a sheet of paper to prevent it warping. 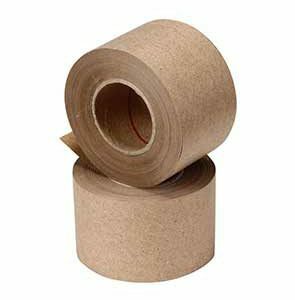 its traditional brown packaging tape is also known as Kraft Paper Tape. 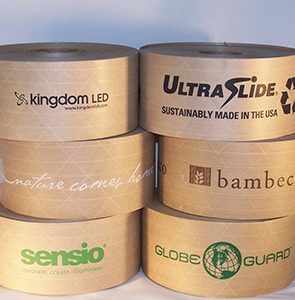 Paper tape features strong, water-activated glue that seals cartons and packages securely.| | Available in both biodegradable kraft and mottled white. The medium-duty tape is rated at 60 lbs. Heavy-duty, non-asphaltic gum with tri-directional threads on reinforced tapes adds strength. Sold in carton quantities.